Is that 15 bottles of motor oil in your pants or are you just happy to see me?	" Is that 15 bottles of motor oil in your pants or are you just happy to see me? 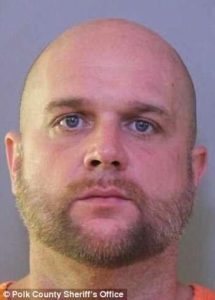 On June 1st, Detective Phil Ryan was sitting in his unmarked car outside of a Lakeland 7-Eleven when defendant William J. Hall was seen entering the store. 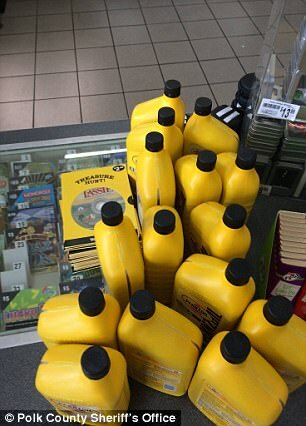 Detective Ryan observed the defendant shove fifteen bottles of motor oil and thirty DVDs down his pants before leaving the store and heading for his car. Security cameras filmed the crime and the whole ordeal proved to be quite comical. 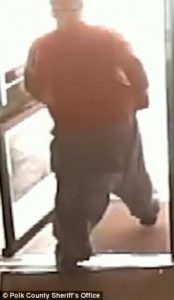 Video shows Hall waddling out of the store in ridiculously over-sized pants reminiscent of MC Hammer when Detective Ryan ushered Hall back into the store (see video below). Once in the store, Hall began removing the contents of his pants onto the counter bottle by bottle like an impossibly large number of clowns coming out of a tiny car. Before the video ends, Detective Ryan instructs Hall to pull up his shirt, revealing a sizable beer belly. Sorry, Officer, but that gut’s all his. How many bottles of oil fit in your pants? The answer may surprise you. This story has been brought to you by Mobil 1: What’s in Your Pants?